Heathrow Airport (LHR) is one of five major airports that service London, alongside Gatwick Airport (LGW), London Stansted Airport (STN), London Luton Airport (LTN) and London City Airport (LCY), making it very easy to travel to. London is consistently ranked as one of the most popular cities in the world to visit, with more than 40 million visitors each year, and for good reason: from Buckingham Palace to Big Ben, the Tower of London to Trafalgar Square, the capital of the United Kingdom is brimming with iconic landmarks and is home to a huge amount of world-class cultural institutions. So many visitors coming to London inevitably means that there are many passengers travelling to and from Heathrow Airport each day, so it’s important to book airport transportation to ensure that you can get directly to and from your accommodation and the airport at a fare and convenience that suits you. Whether you’re a business traveller, a big group of friends or family travelling with lots of luggage, or a couple, by reserving your airport transfer you can have the reassurance and security that you’ll be picked up on time and taken straight to where you need to go. Located just under 30 kilometres from Heathrow Airport and situated on the banks of the River Thames, the Mondrian London at Sea Containers hotel is ideally placed to explore all of London’s most famous sites. The hotel is in the famous Sea Containers building and is inspired by 1920s cruise ship glamour. Guests will immediately see the influences of famed British designer Tom Dixon, who worked with the hotel to bring it to life, in the copper clad wall running from the outside through to the lobby. The hotel offers a spa, restaurant, cocktail bar and rooftop bar, and is in walking distance to iconic London landmarks such as the Southbank, Tate Modern, Royal Festival Hall and the Globe theatre. Shared shuttles from London Heathrow to the Mondrian London at Sea Containers hotel start from just GBP£21 and private transfers start from GBP£52. Located just over 30 kilometres from Heathrow Airport, the DoubleTree by Hilton Hotel London – Tower of London is situated in the heart of the City of London, just minutes from famous landmarks such as St Paul’s Cathedral, Tower Bridge, the Tower of London, the Tate Modern and the River Thames. There’s a 24-hour fitness centre for those wanting to keep active while they’re away, as well as a bar, restaurant and rooftop bar. Shared shuttles from London Heathrow to the DoubleTree by Hilton Hotel London – Tower of London start from just GBP£27 and private transfers start from GBP£52. The award-winning Corinthia Hotel London is ideally located in central London, less than 30 kilometres from Heathrow Airport, and is close to famed landmarks such as Trafalgar Square, Covent Garden, Westminster Palace and the River Thames. This redesigned Victorian hotel has both traditional grandeur and luxury combined with all the modern amenities you could want. There is a world-class spa and hair salon for those looking for a bit of pampering, while the popular restaurants and al fresco Garden Lounge are great for kicking back and relaxing. For a slice of tradition, afternoon tea is available in the Crystal Moon Lounge. Shared shuttles from London Heathrow to the Corinthia Hotel London start from just GBP£21 and private transfers start from GBP£50. Under 30 kilometres from Heathrow Airport, the Park Plaza London Riverbank is located on the south bank of the River Thames near Vauxhall. The hotel is across the river from popular art institution the Tate Britain, and is close to many of London’s most popular attractions, including the London Eye, the River Thames and the London Dungeon. With a fitness centre and a business centre, the hotel is ideal for business travellers. 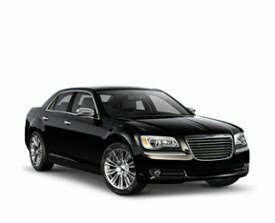 Shared shuttles from London Heathrow to the Park Plaza London Riverbank start from GBP£53 and private transfers start from GBP£47. Located less than 40 kilometres from Heathrow Airport, the Novotel London Greenwich Hotel is situated in the borough of Greenwich on the banks of the River Thames. Greenwich is popular for its maritime history, and is home to restored 19th-century ship, the Cutty Sark. Visitors flock here for the National Maritime Museum, Greenwich Park and the Royal Observatory, as well as the popular market. The hotel has a restaurant, bar and meeting rooms, so is ideal for business travellers. 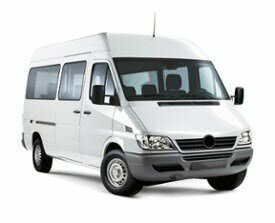 Private shuttles from London Heathrow to the Novotel London Greenwich Hotel start from GBP£62. Before you leave on your trip to London, make sure you book your airport transfer from Heathrow Airport. Whether you’re after a shared shuttle or private car, there’s airport transportation to suit you, so all you have to do is sit back and enjoy the ride.